When things get down to the rarest of the rare with Topps, there are a few sets that even die-hard collectors may not know about. One of these features the Dave Clark Five and it's a strange one for sure. 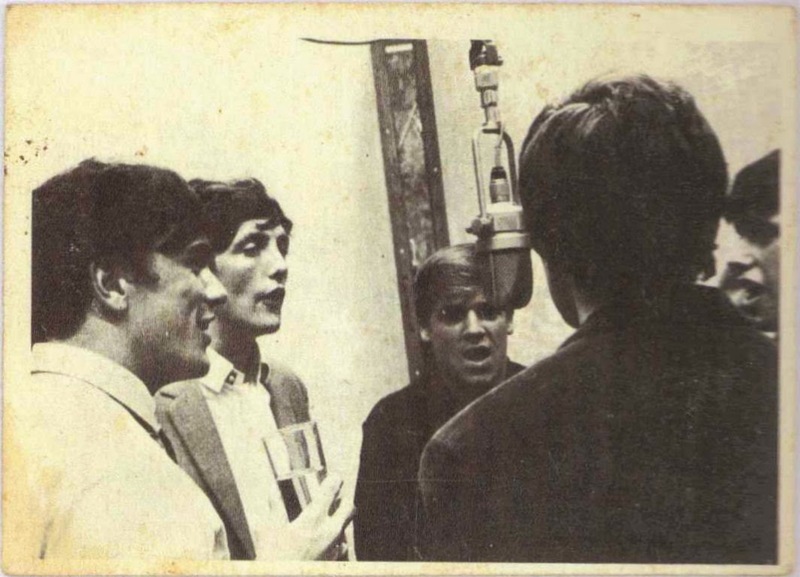 In 1965 Topps made a pitch to Epic Records for a 55 card set of this British Invasion group. 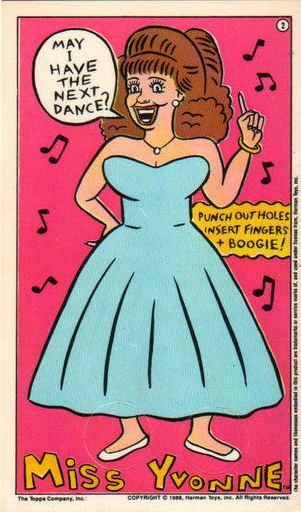 As you can imagine, this pitch was unsuccessful but as it turns out Topps created a number of cards for it. In 2007, a lot of 43 different DC5 cards went up on eBay for a crazy low $200 BIN. These were handcut from a sheet and the sheer number of cards makes me think the full set of 55 was printed by Topps. I'm not sure if the lot actually sold at that price but if it did it's a bargain for the ages. They appear to be printed on very cheap, unstable stock and the example above is apparently lacking gloss on the front. I believe they are a little bit larger than standard size (2 1/2" x 3 1/2") but don't have any exact measurements at hand. Card # 18 above is perhaps the most well known in the set. 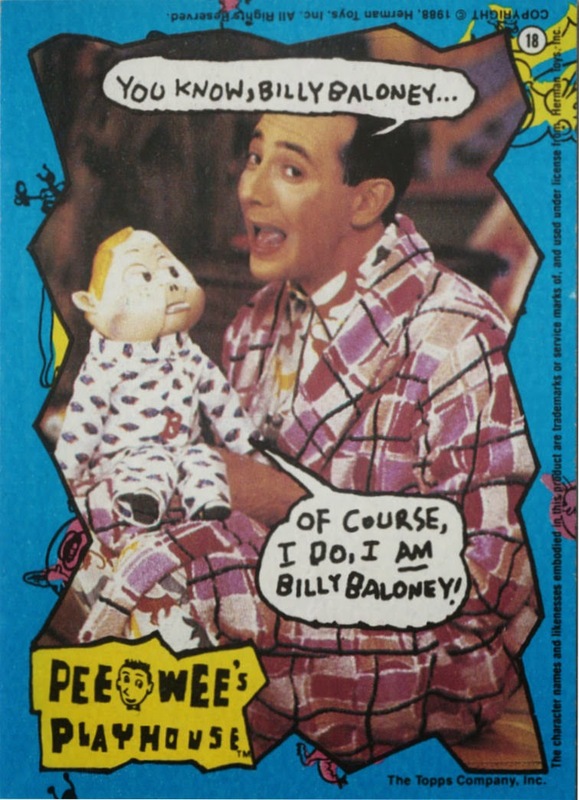 It was prominently featured in an ad in The Wrapper # 127 (Nov 15, 1994) that mentioned it and three other cards were purchased in a local candy store at the time of issue. 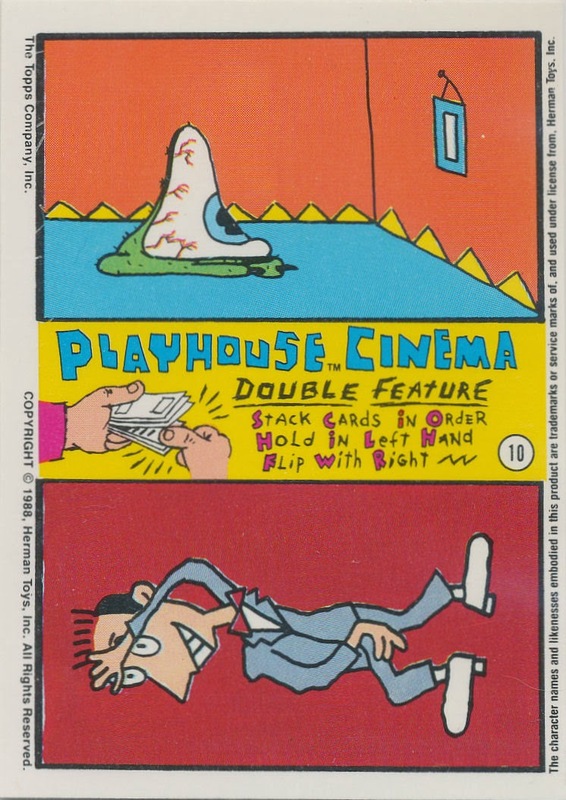 The seller was Gary Paruolo and his address was in Franklin Square, New York which was the same town as the Card Collectors Company PO Box (and one town over from Woody Gelman's residence). 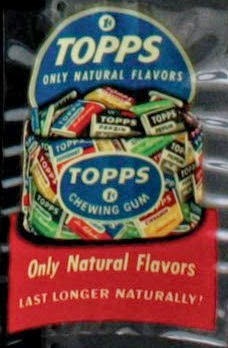 "Local candy store" likely means the store in Brooklyn near Bush Terminal where Topps tested sets but these were likely never officially issued. 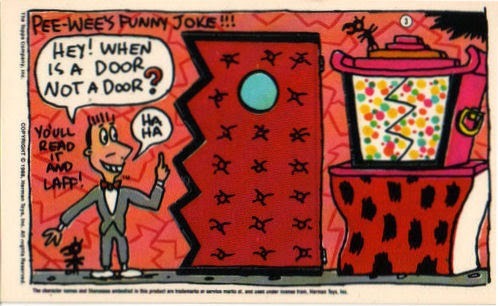 Not that that ever stopped Topps from dumping stock. They were probably sold in cello wrappers if that story is true. Now the idea that one of the "local candy stores" could be close to the Gelman homestead is also intriguing and while I have seen a few references to the Brooklyn shop on Cortelyou Road that haunts hobbyists dreams, I've never heard of a Long Island version. I'd love to know where this guy was from! 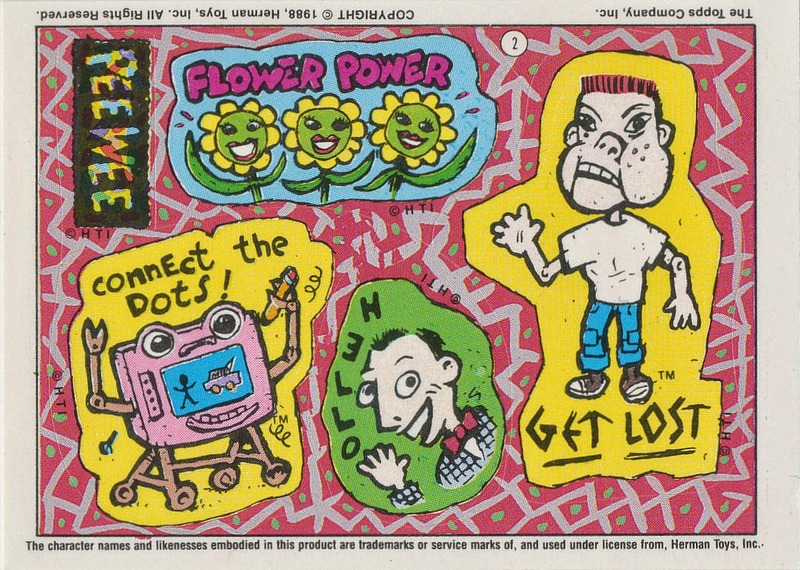 Topps also tested cards in controlled settings, like the ones in a mall where you sit in a room with a few other people and sample things before you answer some questions, and by handing them out at what we would now call middle schools. Imagine trying the latter today! #18 also popped up in a Legendary auction in August of 2013 but it failed to reach the $1,000 reserve. A few others have sold over the years from what I can recall and there are rumors a former Epic Records executive had over 100 of them at one time but no matter, these are rare cards indeed. 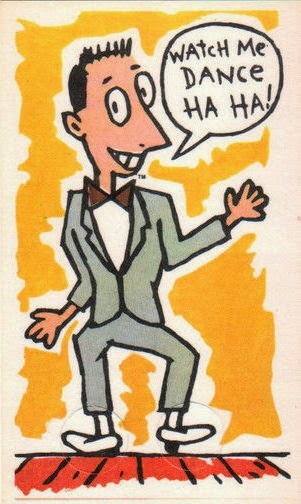 It looks like we have another entrant or two in the list of firms that printed cards for Topps back in the 1960's. 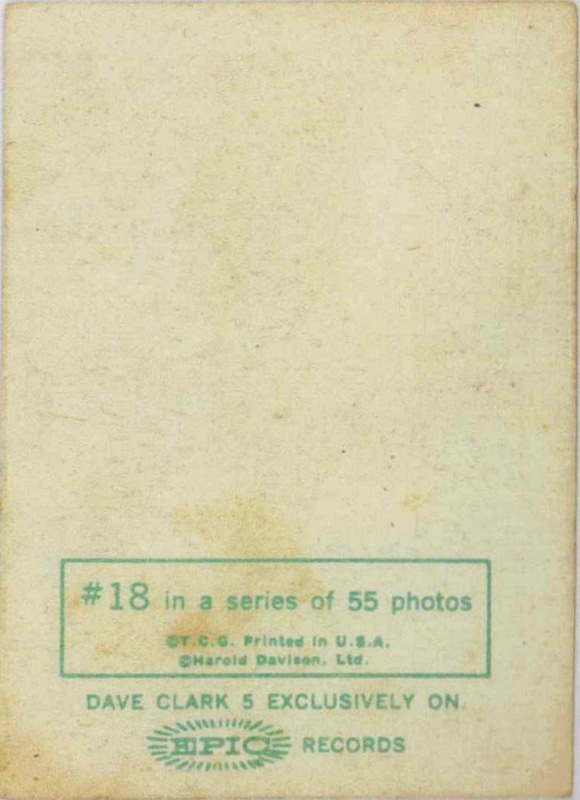 In re-reading one of Keith Olbermann's Sports Collectors Digest posts about the 1967 Roger Maris Yankees card, I happened to notice a comment about some uncut proof sheets made up by a printer in Connecticut. I did a double take as I had missed this information the last time I had read Keith's article, which came out in 2008. The Olbermann story is thus: a house being remodeled in Connecticut is found to have sheets of old cards being used as insulation in a false ceiling; in addition aluminum printer plates from some Topps sets were found in the void space as well; 1962 being the "year-zero" for aluminum Topps plates, this piqued my interest even more. It would turn out the previous owner had worked for a company that printed cards for Topps. I still need to do a deep dive into the printing of 1962 Baseball Green Tints but there is a great article by Pete Putman that appeared on the PSA website a while back that delivers an in depth look you should go an check out. Pete mentions within his article the Rochester firm of Stecher-Traung, which I believe did overflow work for Topps in the early 1960's after Zabel Brothers of Philadelphia took over for Lord Baltimore Press (LPB). 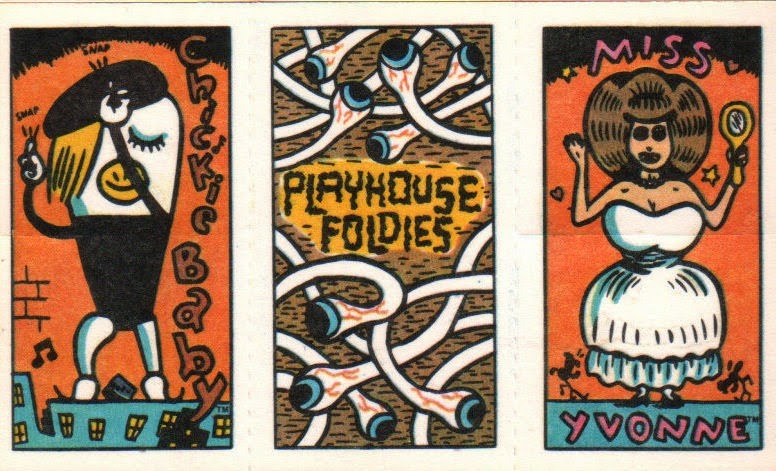 LBP was bought out by International Paper in 1958 and slowly transitioned out of commercial printing thereafter resulting in Topps utilizing Zabel Brothers, which had produced some of the best Bowman sets, as their main printers for decades (this comes straight from Irv Lerner, who used to do Zabel's tax work). 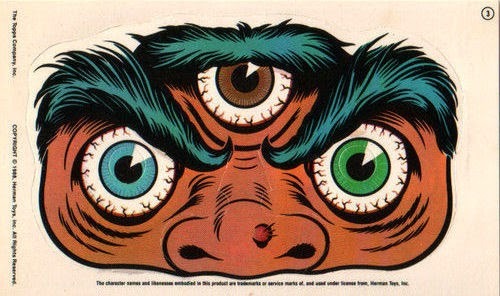 This creation, along with some cut up proof cards from the 1966 Batman Bat Laffs series were found together and originated with the family of an employee of the Connecticut firm. Now get this, the family member's relative auctioning off this piece is domiciled in, you guessed it, Rochester, NY! Stecher-Traung did have a corporate presence in Connecticut but I can't decipher if that was before their merger with Schmidt Lithographic of San Francisco (likely printer of Obaks) or after (merger was March 1, 1966) so there is more work to do. But there is no way the Rochester connection is meaningless or random. Now, for a bigger issue. 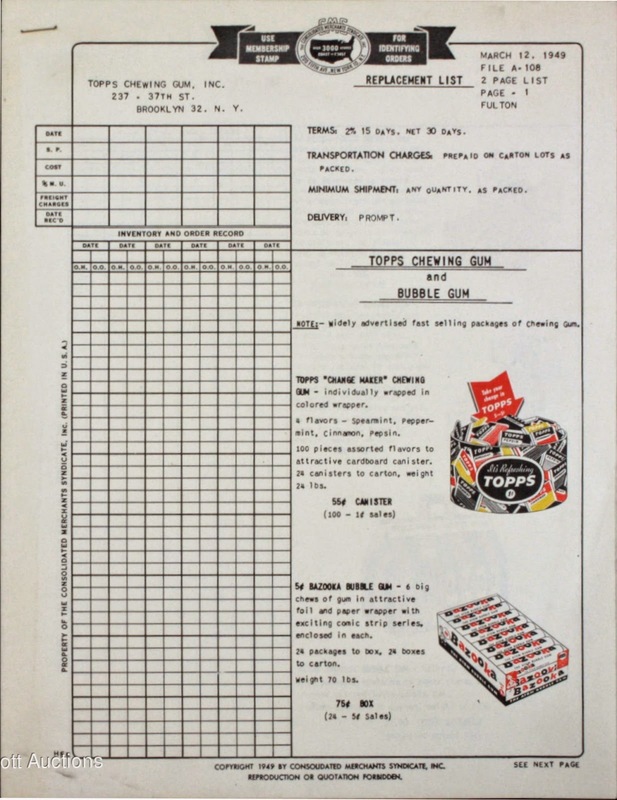 It has long been suspected within the hobby that numerous test issues produced for Topps in the 1960's and 70's were specifically printed for sale via the Card Collectors Company and/or Bill Haber (long time Topps employee and early card dealer). 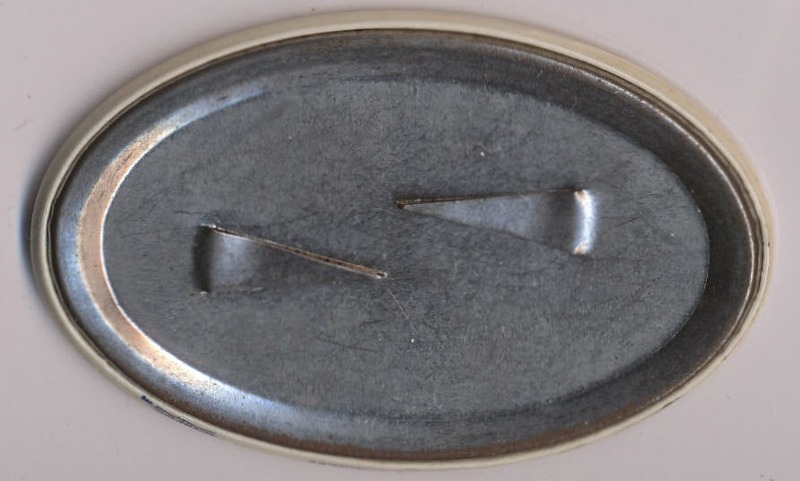 There are numerous black & white test issues from the mid 1960's that I have long felt were not produced by Zabel Brothers so I wonder if our mysterious Connecticut firm had a hand. It gets even better-I have found some old news stories online suggesting another Baltimore firm also did some work for Topps, one A. Hoen & Company. Whether they did some overflow in the 1950's or other work is an open question but one I hope to answer as they were in business from before the Civil War until 1981. 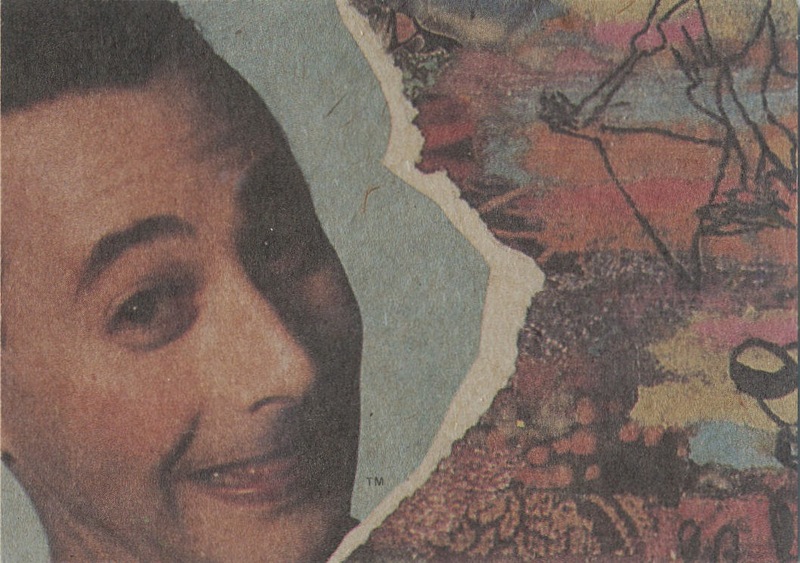 That is a tantalizing thread to follow as it has been offered up by other writers and researchers that the 1967-68 Topps Action All Star Stickers saw limited distribution in the Chesapeake Bay area. As many of you know, I like to keep most matters on the blog to 1980 and before. However, there are times when something is interesting enough that I will break through this cardboard ceiling and "go recent". This is one of those times. 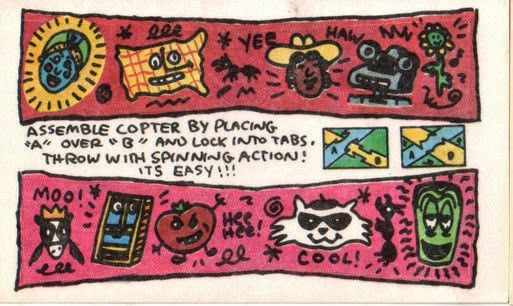 In 1988 Topps came up with one of the most innovative sets they ever produced, right up there with Pak O'Fun and Laugh-In. 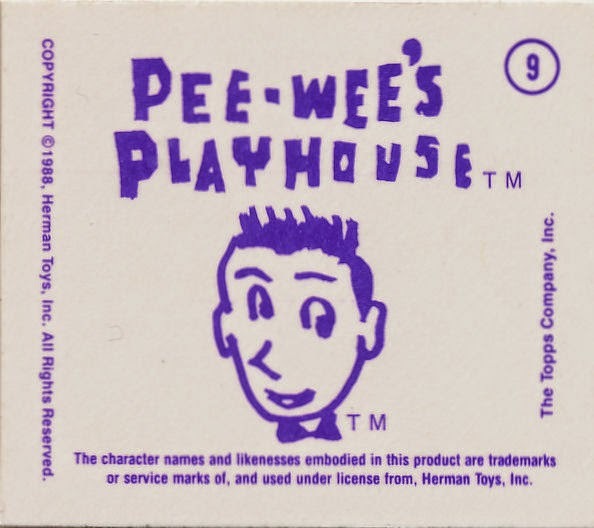 Pee Wee's Playhouse must have been a risk as the show was mid-run in 1988 but that did not stop the creative team from going bonkers. The full checklist is a doozy and takes a bit of concentration to determine; certainly many eBay sellers have no idea how full "full" really is but no matter. There are some crazy designs on this set, which mirror those of the show. 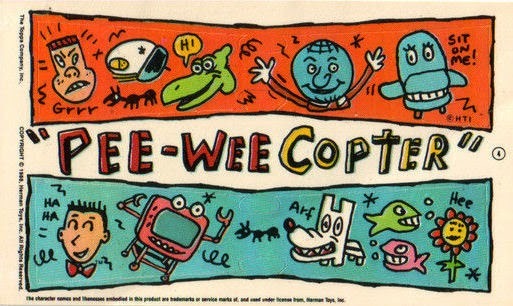 I am not sure if he was in charge but an artist, puppet master and set designer named Wayne White had something to do with the quirky look of the show and presumably the design of the cards. OK, now the variations (part 1)-from what I can find, these involve the borders on the front of the card, specifically the backgrounds thereon. I only have a run of 33 so I don't know what each variant is; even if I did, how would I describe it?! 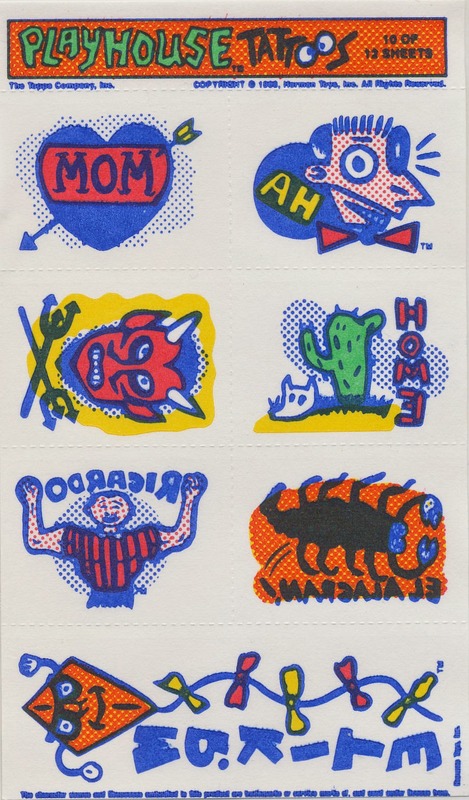 Next up are the stickers, printed on card stock, also standard-sized....and confusing. While there are 44 stickers, there are only 22 subjects as each front repeats exactly (and exactly) once...and then it gets weird (more in a sec on that). Dig those copyright disclaimers! And my favorite, a partial reissue (there are eight) of 1967 Nutty Initials! Is this set nuts or what?! 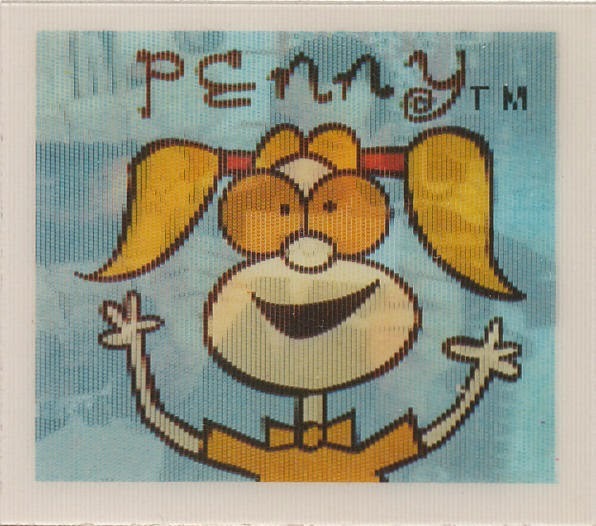 Her overall number in the sticker set in this instance is #10. 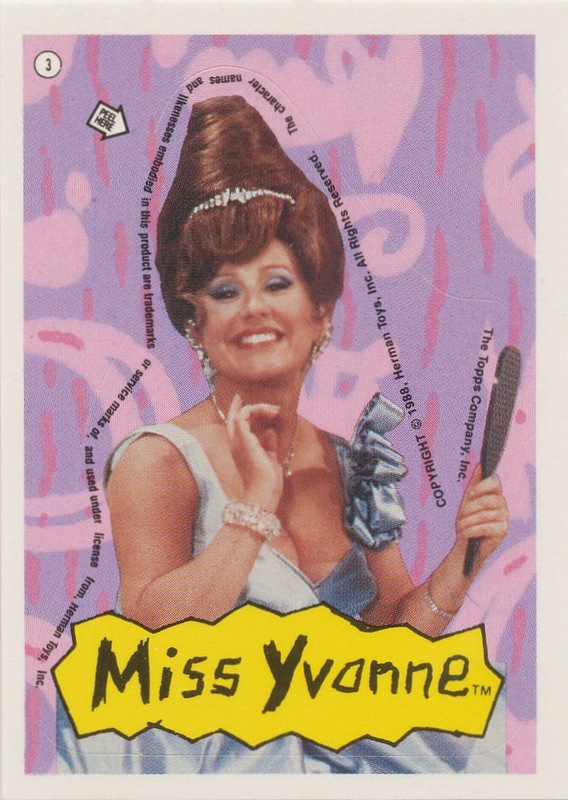 She is also #9 but no matter what number is on the back, she is always #3 on the front; I suspect because there were two flip movies on each sticker back that Topps felt justified handing out the repeats. It's a little hard to tell because none of the subset numbering is in order. 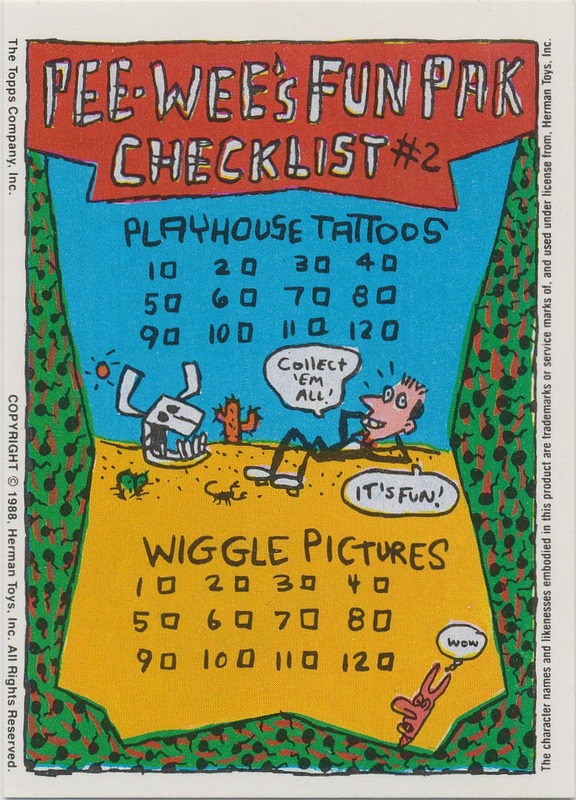 It's also hard to tell because the final four stickers contain one of four checklists, each of which has checklist sub-series numbering on the back (but no overall numbering). So 20 repeated subjects plus four non-repeaters on the checklists. Have you ever seen so many different ways to destroy bubble gum cards? And we're not even getting halfway through all the subsets yet. 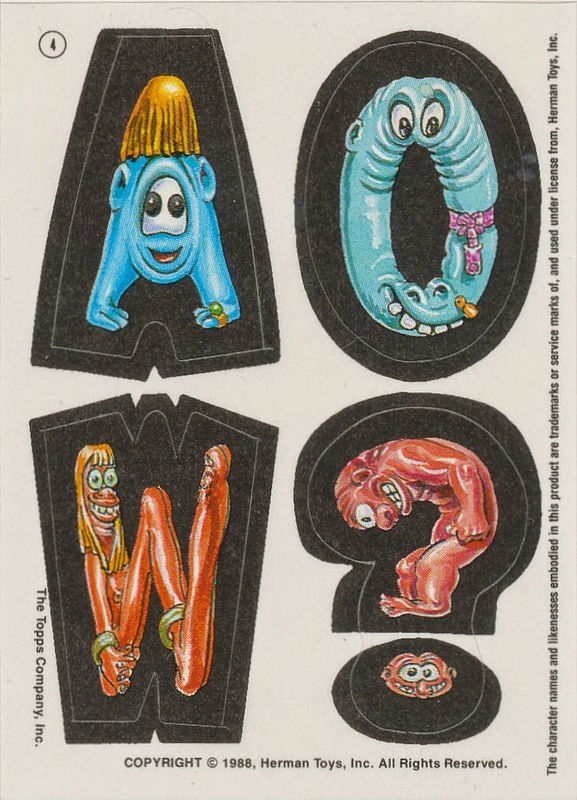 I'll give you all a breather here as we look at the Wiggle Toys, which are just small (1 3/4" x 2") lenticular cards, twelve in number. I guess since the images moved, there was no need for further variation! Next up are four "flying things" although they are not at all like their namesakes. Sub-series numbering only once again...whose idea was it to mar the fronts with all that tiny print? Quite the homage to the 1967 and '70 Disgusting Disguises, the Get Smart Secret Agent kits and the like, no? There are said to be mirror images of each Disguise but I can't find any scans to show this (I am still putting my own set together and have gaps). Pretty good haul for one pack. I guess one final homage to Fun Packs was in order! 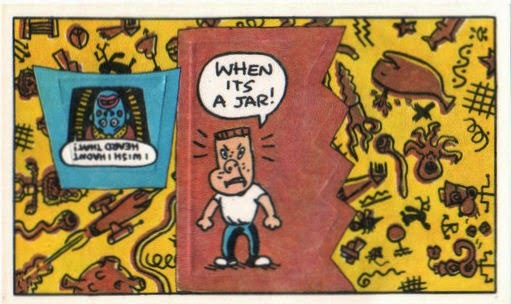 Some folks just collect the 12 sticker fronts but that's Nowheresville man so I make it 123 for something akin to a complete set, plus another 36 if you count variations, or 159 in a master set. The printing is kind of muddy but thanks to the manufacturer's information (more on that momentarily) it looks like local 19 in Rochester, New York. It appears to state" Photo Engravers" at the top but I can't resolve it any more, even with a 40x Love Of The Game Auctions promotional loupe. I read it as local 289 of the I.P.E.U. (International Photo Engravers Union). In researching Bastian Bros. (still in existence as the Bastian Company), it turns out they were one of the first union shops of any kind in Rochester and founded in 1895. But a little more of a deep dive on Google revealed another interesting factoid on my buddy Spike's blog, namely that in 1920, 1922 and 1933 they produced sets of pins for Mrs. Sherlock's Bread featuring the Toledo Mud Hens. They produced some other sets as well of baseball players but that I will leave as fodder for the pre-war collectors out there. The ACC # is possibly PB5 in case you were wondering but the numbers for the pin sets I see in the catalog do not match that designation. 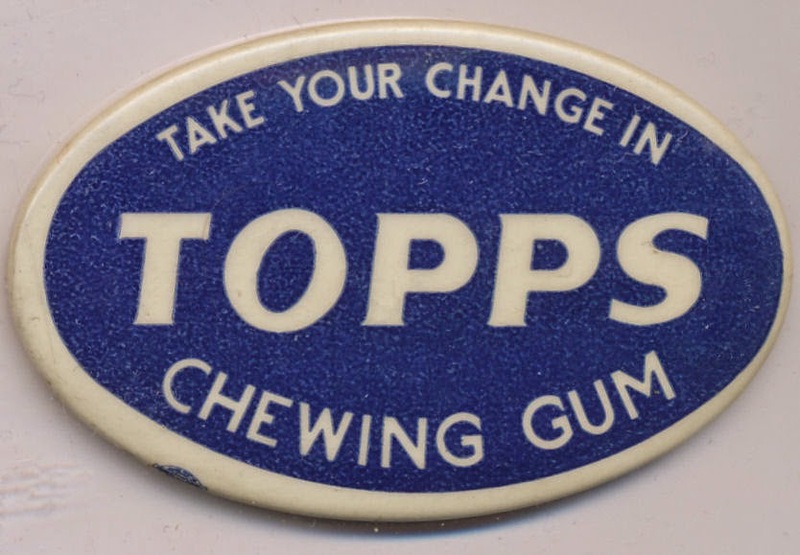 So if Bastian Bros made pins for baseball promotions during the Depression, perhaps they worked with another firm in the 1950's that had a Rochester connection, namely Topps Chewing Gum. 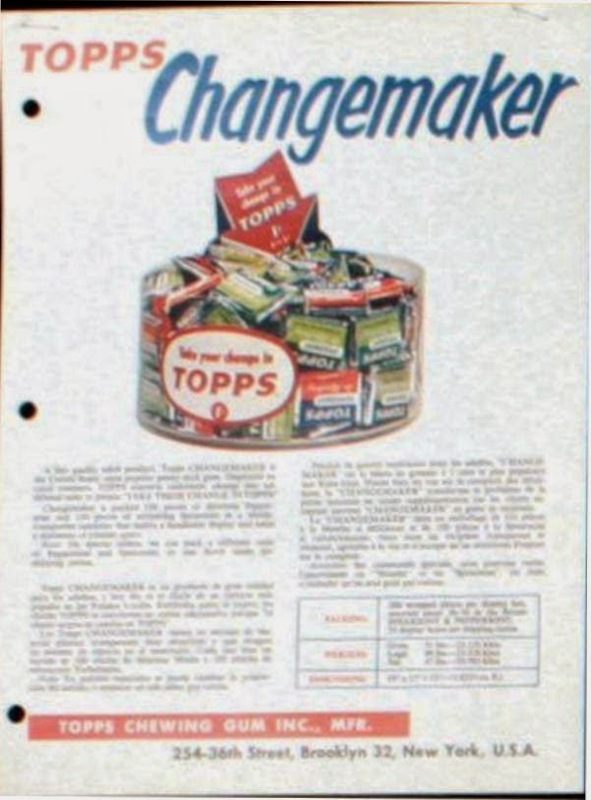 Topps used a Rochester firm to assist with some of their 1962 Baseball printing (likely Stecher-Traung) and would have known the area since the American Leaf Tobacco Company days. There is no marking on any sort on the 1956 pins (or, more properly, Baseball Buttons) or their retail box but there are not too many coincidences when it comes to Topps. So it's a leap but not one without merit. 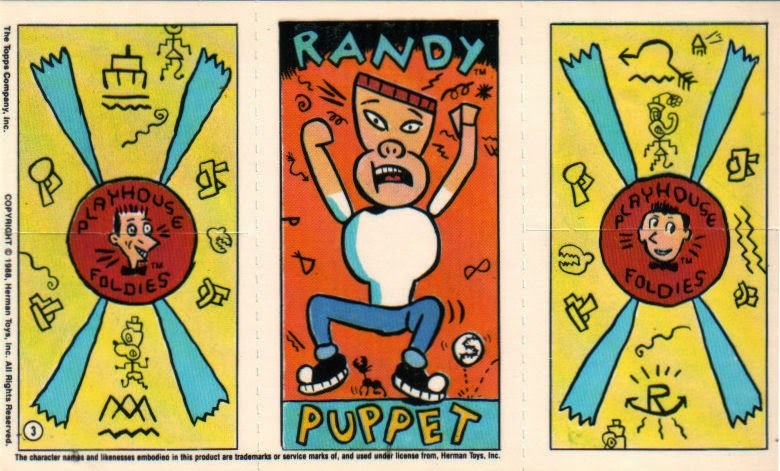 I wonder if any materials relating to the production of the Topps pins has ever been found in the Rochester area? 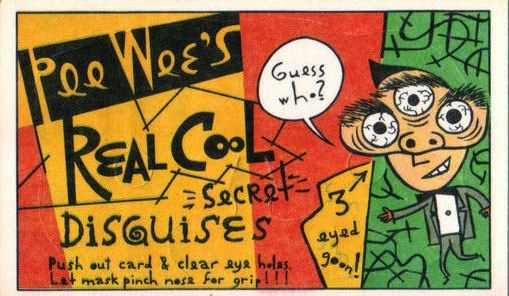 Some pieces from an old Huggins & Scott auction give some insight into how aggressively Topps marketed products, even when they were on the cusp of obscurity. 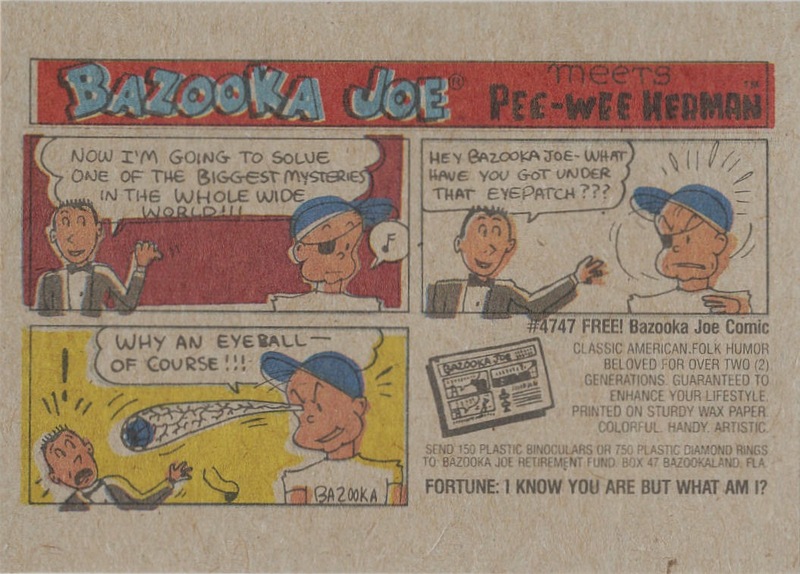 By 1949 Topps Gum, the one cent, flagship confection for the company since its founding in 1938 was being supplanted at a rapid clip by Bazooka. Nicknamed the "Changemaker" in a clever sales PR campaign, the transition into a Chiclets style candy coated gum nugget was underway by the time penny tabs of Bazooka were introduced in '49. But you could not tell this by looking at some of their promotional materials for the year. Need a point-of-sale decal? No problem! 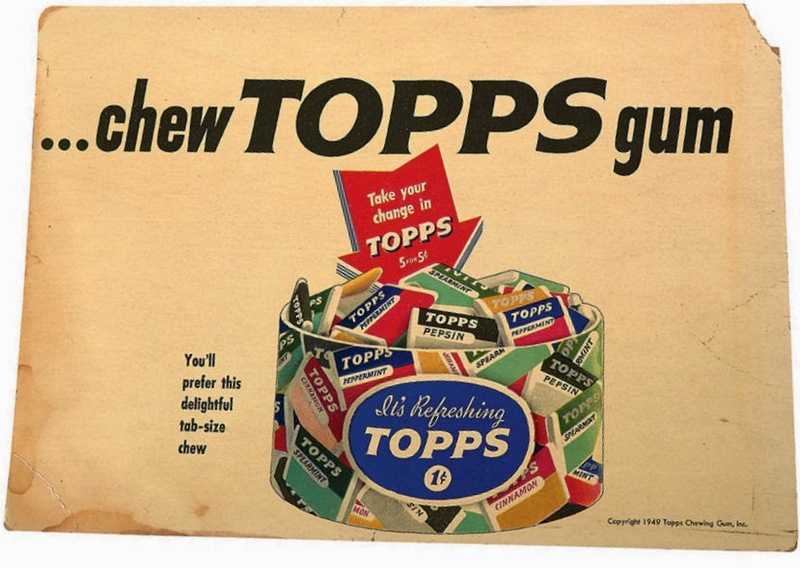 There were still good years left for Topps Gum once it went over to the "nugget" side, although it was mostly distributed as part of US Military rations into the late 1950's. I'm working to document all of the gum and canister styles Topps used from 1938-49 but it's an evolving project as so many variants keep popping up. I've been using some Trademark and Patent databases but not all of the information on the brand seems to be available online. So I'll keep posting here as new items present themselves.